Hi, my peeps. Hope you're having a GLORIOUS weekend! Great to see lots of young folk there Sigur, and not all of them playing 40K or AoS! G'day Sir! Yes, indeed, that's nice. On the other hand it's interesting to see how this broader show is 99% games which are sold via an accompanying figures range and in general 'broad' games. 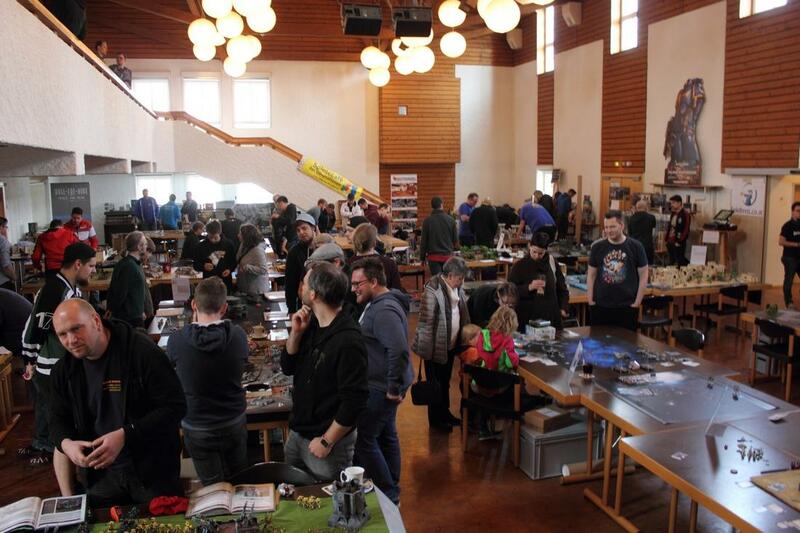 But yeah, everybody had fun, there were lots of people (and lots who'd never gotten in contact with wargaming before) and everybody had a good time. My 'landing foot' from jumping off the stage is still a bit sore though. My 'landing foot' from jumping off the stage is still a bit sore though. Yeah, I still can't tell if it's the life of a rock star before they become a rock star or if it's the bit at the very tail end of the rock star life.